Carlos V inserted a Renaissance palace into the complex of the Alhambra. He planned to make Granada his main residence. The interests of Karl V changed because of Columbus discovery of America and Karl gave his plans. The palace remained unfinished. 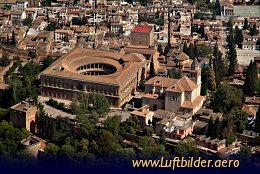 The Alhambra is one of the most famous attractions in Europe. 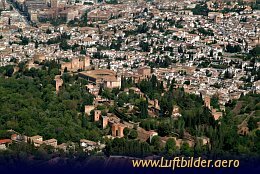 The fortress complex is located on top of a hill in Granada in South of Spain. It is one of the most important examples ot the Moorish architecture. The building complex contains a citadel, the palaces of the Nazaries and the palace of emporer Karl V. Outside the walls are the wide spacious gardens of the Generalife.